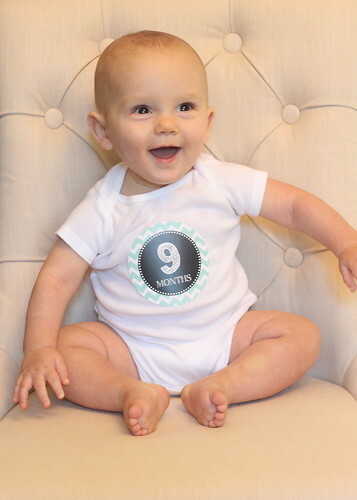 I think 9 months might be my favorite baby age yet! 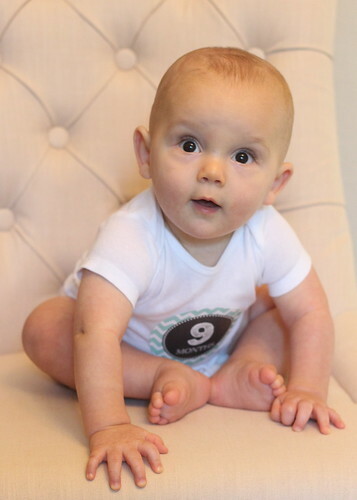 Connor has developed the sweetest little personality, and I feel like I'm constantly on the edge of my seat, anxiously waiting to learn more about the little boy he's becoming. He's loving and joyful and giggly and sometimes a little mischievous, and we're just having so much fun being his parents! Birth Weight: 6 pounds, 6.5 ounces. Current Weight: 20 pounds, 13 ounces. 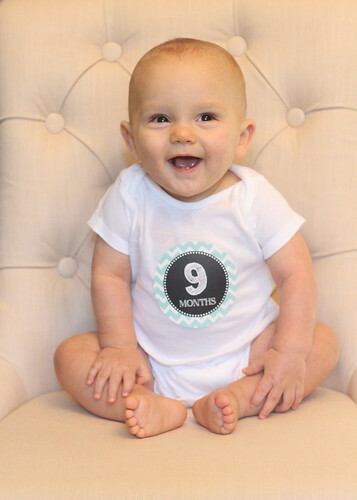 Birth Length: 19.5 inches. Current Length: I always forget to measure! I'll update it later. Clothing: Wearing 12 and 18 month clothes and size 4 diapers! Banging his hands on things. Waiting to eat until we're done praying. When Daddy won't let him climb out of the bathtub. When other babies/children are sad. Having his face and hands wiped after eating. Crawling all over the place! Pulling up to a standing position. Standing for a few seconds on his own. 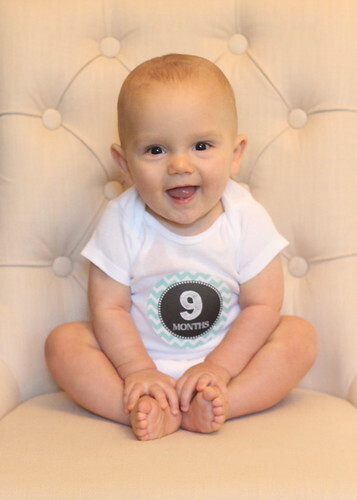 Happy nine months, sweet Connor! 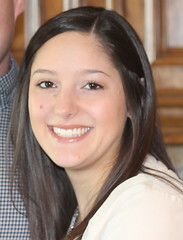 You are such a blessing to us, and we love you so very much!